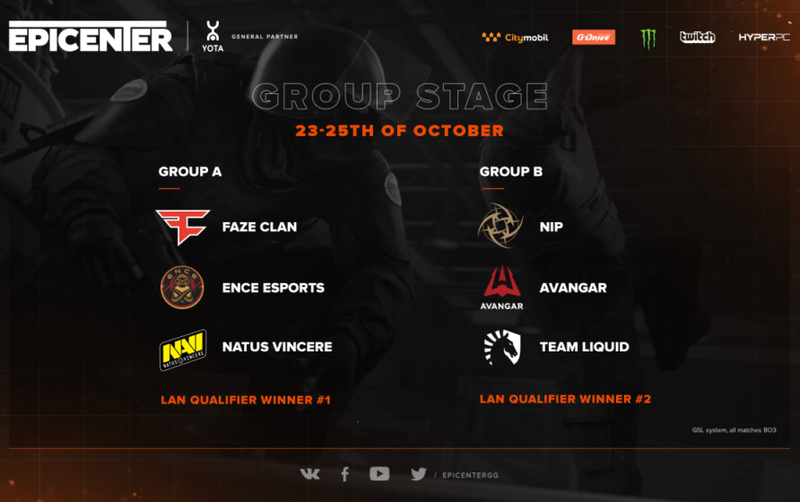 Here is the group breakdown for EPICENTER CS:GO. The group stage matches will be played October 23–25 using the GSL system. All matches will be best-of-3s. Its remaining participants will be decided in the LAN qualifier on October 22. The best team in each group will secure a spot in the tournament’s semifinals. Squads that place 2nd and 3rd will form quarterfinal matchups, and the two teams at the bottom of the standings will leave the tournament. Have you chosen your favorites yet? See you on our streams!